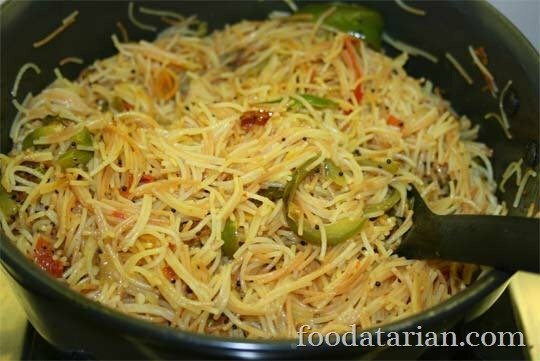 Vermicelli Upma or Semiya Upma is made out of vermicelli/sevaiyan we use to make kheer. 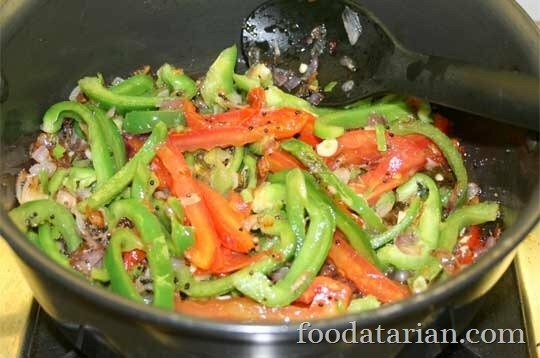 It is seasoned with onions, peppers, chillies and salt and forms an excellent breakfast or snack. Freshly chopped coriander leaves to garnish. 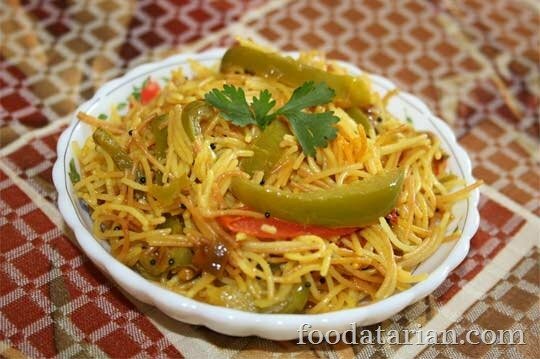 If using non-roasted vermicelli then add heat a kadhai and roast the vermicelli on a low flame until they turn light brown in color. When roasted (or using already roasted ones) add hot water only enough to cover them, add some salt, give it a nice stir, cover with a lid and let them cook for 3-4 minutes or until they break easily when pressed between your fingers. Drain out the water completely and toss with little oil. Meanwhile, in a pan heat 3 tbsp oil for tempering. Add mustard, cumin, asafetida, curry leaves and when the seeds splutter add onions and chopped chillies. Sauté until they turn light brown. Then add turmeric powder, peppers and cover and cook for 2-3 minutes. 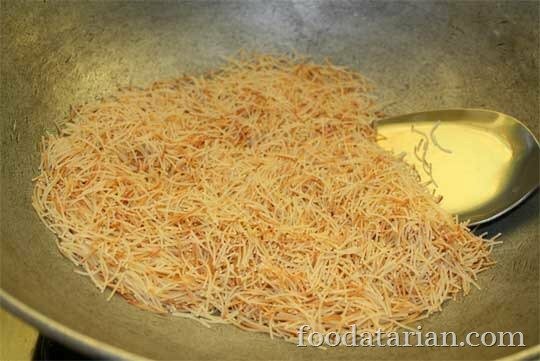 Then add some salt (adjust as per taste since we added some salt while cooking vermicelli), stir and add the cooked vermicelli. Stir well and let them cook for few minutes. Garnish with freshly chopped coriander leaves and serve as a breakfast or snack. You can also add tomatoes if you like.